Employment & Jobs Directory - UK directory of employment agencies and jobs. Job Databases - Directory of UK jobs recruitment agency, job boards & recruitment agency. New-Gen Job Center - New jobs in EU geopolitical space. Job Vacancies - Job Vacancies search at International organisations. Learn which job sites are the best to visit, whatever job sector you are in. This website covers job sites in the UK, US, Canada, Australia and internationally. Recruitment.com, a job search engine that allows you to search thousands of jobs from job boards, recruitment agencies and employers from across the web, in one simple search. Nationwide online job search engine with an easy-to-use job post/search format for all employment or recruitment-related needs. Expat Engineering Jobs gives you access to the best jobs , faster career progression and the opportunity to explore the world! Part of the ExpatJob.net Group, ExpatEngineer is the world's most comprehensive engineering recruitment portal, so start exploring and see what possibilities you can engineer. ExecutivesOnTheWeb.com is the No1 executive job board offering senior management and executive jobs across all industry sectors in the UK, Europe and the Middle East. Njobs is a jobs aggregator which gathers job offers from all over the UK and displays them in an easy and quick way for free to all job seekers. It is a simple way to keep up-to-date with the job market, and get employed. UK Nursing jobs site for nurses, midwives, health visitors and health care assistants. UK Rail jobs site. Technical, Construction, Customer Facing and Operations positions. Freelance jobs and freelance projects. The marketplace for professionals and employers. Is your CV / resume letting you down? A professional written CV / resume can dramatically improve your chances of securing the job interview you want. Plus FREE advice on writing your CV / resume, tips on job hunting and interviews, plus sample CVs / resumes, cover letters and links to 100,000+ job vacancies. FREE advice on how to dramatically improve your CV / resume, find a job and handle interviews. Plus sample CVs / resumes, cover letters, psychometric testing, a recruitment agency finder, CV / resume distribution, links to 200,000+ jobs and much more. 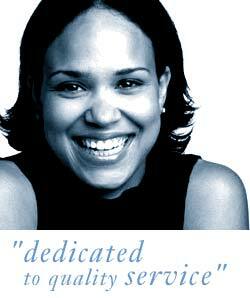 The CV Centre - The UK's leading CV consultancy, specialising in professional CV (Curriculum Vitae) writing services. Resume and CV writing at affordable prices. Expertise in all career fields, satisfaction guaranteed. Job search and interview tips, career links, newsletter and more! Free example CVs. Expert CV writing service, advice, tips and help by Mike Kelley at First Impressions, www.cv-service.org. Sample Resume - Find the right resume sample. Get info on resume services and job search. Resume Examples - Offers resume examples to download, writing tips and an interview guide.